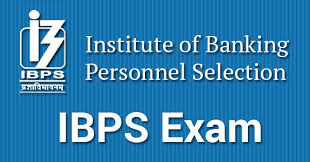 Institute of Banking Personnel Selection (IBPS) has published Call letters for CWE - CLERK - VI - Preliminary Exam 2016, Check below for more details. The candidates shall be required to qualify in each test as per cut-off marks determined in each test. Each candidate willhave to secure a minimum score on each of the tests as well as on the Total to be considered to be shortlistedfor Main Examination. Depending on the number of vacancies available, cutoffs will be decided and candidateswill be shortlisted for Main Examination. However the decision of IBPS in this regard shall be final andbinding upon the candidates. Main Examination consisting of Objective Tests for 200 marks will also be conducted online. The test would be of 2hours duration. The candidates shall be required to qualify in each test as per cut-off marks determined in each test. Each candidate willhave to secure a minimum score on each of the tests as well as on the Total to be considered for promotionallotment. However the decision of IBPS in this regard shall be final and binding upon the candidates. Special thanks to Ankit Patel for this update.